A few weeks ago, I wrote about two words that have been helping me make a fresh start in the school year. “Good enough,” has been my guiding mantra. I didn’t write it at the time, but there’s been another one nudging me in the right direction. Lately, my thoughts have been turning back to these wise words. They were given to me by my pastor Paul Patterson at the end of summer. I had asked him for guidance on how to avoid the over-emotional bent that I am prone to. His words seem so obvious, yet I’ve been finding them just as orienting as the words “good enough”. “Be rational,” he said. His words were a caution against letting my anxieties taking over the reins. We talked for some time and I gained a new perspective. I can’t explain it, but these two words were like a light switch, bringing balance to my thoughts and actions. Maybe my feelings had become a bit like spoiled children, demanding attention from me the indulgent parent. “Good enough” and “Be rational” have been my two mantras. Teaching is never easy, but I’ve felt more balanced and happier. I’ll give you an example of how it works. Coming up with lesson plans every day can be a daunting task, and in the past, it has often left me feeling swamped and drained. But that’s the feeling end of things, and focusing my attention there doesn’t exactly lead anywhere profitable. In fact, it makes my world smaller, and I know God isn’t in the business of creating cramped worlds. So instead, the words “be rational” have invited me to think of the way things really are, in a bountiful universe filled with God’s blessings. So I’ve begun to think that the lessons already exist out there, and God the creative one is brimming over with ideas for the students. So I take a breath, say a prayer, crack open the books and wait to see what sparks come. This way has led me to be more relaxed and trusting that God has my back. In fact, God is the Teacher behind the teacher. I’m often surprised that despite myself, something always falls into place. Even when a lesson falls flat, I can remember to “be rational” (as opposed to feeling like a schmuck! ), and remember that tomorrow is a new day to try again. Another application of these words is how I think about my students. Some of these precious kids come with lives already so burdened by problems beyond their control. If I’m being guided by emotions, my shoulders crack as I worry and try to carry the load on my own. Instead, it has helped me immeasurably to think of them first and foremost as God’s children. I pray for many of them every day, saying, “Take care of your dear child”, placing them before the God whom scripture says loved us all even when we were being formed in the womb. My mom also prays for them as do my friends at church. Come to think of it, that’s how God remembers me too. The other night as I was falling asleep, worried about a recurrent problem, I suddenly heard the voice of my dear neighbor, “Tante Bargen”, who was like my second mom growing up. I heard her caring voice as she said my name, and my crusty heart melted as I remembered that I was immeasurably loved and that as Julian of Norwich said, “All will be well”. Thinking about it even now draws tears to my eyes. I know God used her to restore me to myself. So thanks Paul for the wise words this August. I’m certainly not applying them without flaw, but then I remember the other two words, “Good enough,” and I’m good to go. 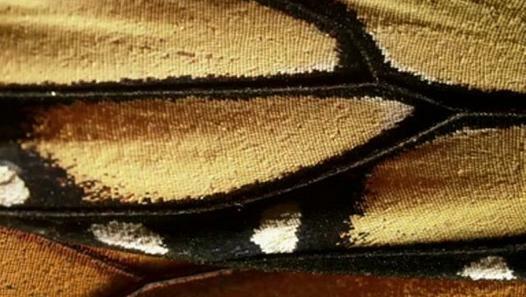 One year ago, a 44 minute 3D documentary was released called Flight of the Butterflies. It tells the story of Dr. Fred Urquhart and his wife Norah’s nearly 40-year-long scientific investigation into the monarch butterfly. In 1976, Canadian born Urquhart discovered the Mexican forests where the monarchs migrate to each year. It was a world famous discovery. I’d been itching to see this movie since its release, and when a member of our local Monarch Teacher Network committee arranged for it to come to Winnipeg just for school groups, I knew I had to take my class. This past Monday, we went to see it. Can’t top that for a Monday morning! I had been looking forward to the movie but wasn’t quite expecting how it took my breath away and drew tears pretty much in the opening scenes. I was surrounded by about 100 school children, and this has got to be the best way to see the movie. Everyone felt the same way I did as I heard gasps and awe-struck cries of delight all around me. The 3D experience is still pretty new for me, and I have to admit it is spell binding. Children all around me were grasping for butterflies that seemed to fly right in front of us. Even I forgot I am an adult and found myself reaching out, expecting one to light on my hand. I hadn’t anticipated the magic and wonder this story could renew in me. It made me remember why I care. If “making us care” was its goal, the documentary couldn’t be more perfectly timed, for now is exactly when we need to care. Sitting in the dark theatre with my goofy 3D glasses on, I knew what my students were only dimly aware of – that the monarch migration is threatened. 2013 has been the worst year on record for this mighty insect. Numbers all across North America have been down by as much as 80%, and last winter’s overwintering population in Mexico was the lowest ever. I’m not a big cause person, but this is one issue I have been known to go on about to anyone who will listen, especially this year. “Plant milkweed!” is the message we need to heed if the famous monarch migration is to continue. It breaks my heart to think it might end. My passion for this insect and its ability to inspire students about nature started in 1996. 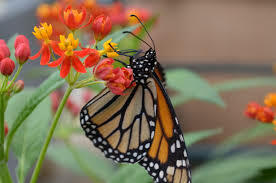 It took only one milkweed plant and the monarchs that miraculously found their way to my garden to hook me for life. Through many years, I have loved bringing the monarch to my class, inspiring others to love nature. The issues of climate change barely registered for me back then, though of course changes were already underway. Through the years, the monarch’s journey has woven itself through my own, becoming an emblem for the transformation and healing I’ve come to experience thanks to God and my community of faith. One huge part of this journey was the life-changing trip I was honored to take to Mexico in 2009 to see the monarchs in their winter habitat. 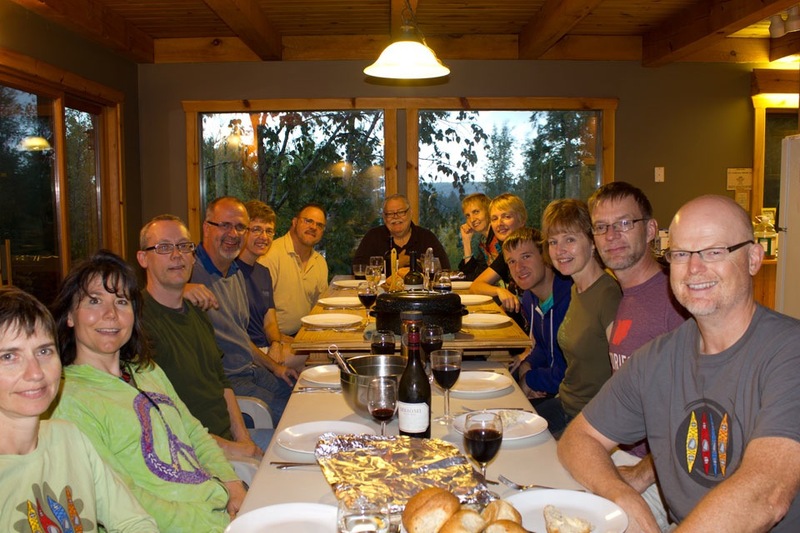 A few weeks ago, our community went on our annual fall retreat and this year’s theme was the question of “Why did Jesus have to die for us?” The theological word for this is the atonement. Hidden in this dry sounding word is the phrase “at-one-ment”, and this helped me understand the topic. As we went through the weekend, we were asked to consider a situation either in our lives or in the world which was not “at-one”. What places in our lives felt unreconciled and divided? It’s a great question, because that’s exactly what Jesus came to address. I chose something that had been giving myself and many others much dismay, the plight of the beloved monarch. Thinking of the massive loss of milkweed rich habitat in the monarch’s flight path through North America gives me grief and anger. I want to point fingers at “others” who create the problem, but I know I am part of the North American life style. Why does the world have to suffer like this? Why do we create so many problems in the world that seem irredeemable? Climate change and all the beautiful species in our world that are at risk seem to mirror the problems that surface in the human soul – the suffering that we create in ourselves by our fallenness. The problem seems emblematic of many of the deepest problems I’ve encountered – beyond my grasp to try and fix. If I’m not careful, my dismay can lead to a lack of trust and hope for the future; in short, a lack of trust in God. Cynicism can take root in me, and this summer I noticed how contemplating the monarch issue had this effect. It was like the “bee in my bonnet” that could leave me grouchy and on a rampaging mission to save the species. It’s not that we shouldn’t care about the world, but when I recognized the cynicism, I knew that I needed to shift my focus. I have had my fill of this type of closed outlook. Since the retreat, I’ve asked instead what it would mean to see the situation through God’s eyes. God’s world is expansive and fecund, and I felt like I was invited to give my worry to God. The message of the atonement is that Jesus lived to go into the darkest places so we wouldn’t be without hope. God is with us in all our places of suffering, and the cross is the greatest example of that. In the darkness, God is there. The movie last week was a gift and helped me remember why I care about monarchs – about the magic and wonder they bring to us. How they point us to a story of transformation, of metamorphosis. I haven’t forgotten that they’re in trouble, but maybe I will keep my feet planted in hope, releasing my worries to Someone who knows what to do when I am stumped.